Music – pretty much every human being enjoys it in one form or another. Only a few are gifted enough to create it, however. But no matter which side you belong to, chances are you'll find an app you like in our list of 10 music-making applications. Some of them are as simple as tapping on the keys of the piano. Others are more complicated, with all kinds of bells and whistles, but more capable at the same time. Check them out in the slideshow below and feel free to let us know which one you dig the most! FL Studio Mobile allows you to create and save complete multi-track music projects on your iPhone or Android device. Projects you save can be opened on the app's desktop version for further modification. The app comes loaded with 133 high quality instruments, drum kits & sliced-loop beats. Songs can be exported to WAV or AAC files. Musyc is part a music creation tool, part a sandbox game of sorts. The user draws shapes on the screen which then move and bounce around creating different tones along the way. Various effects, such as delay, overdrive and reverb, can be added as well. Buttons, knobs, keys – there's tons of them in Caustic 2. It is a music creation tool inspired by rack-mount synthesizers and samplers rigs. Seems difficult to use? Worry not for there are guides and tutorials online that will teach you how to make masterpieces using this cool app. Caustic 2 is free, but to have the option to export music you'll have to pay $7.99. Nanoloop is a full-featured music-making tool combining a sequencer, a synthesizer and a sampler into one package. The app is optimized for mobile devices and it should run smoothly even if loaded onto a smartphone of average capabilities. Several projects come pre-loaded to give you an idea as to how to work with Nanoloop. Tonepad has to be one of the simplest music-making apps we have ever seen. You just tap on the dots, arranged in a 16 by 16 grid matrix, and music comes out instantly! Try it out, the app is free of charge. Its UI may be a bit crude, but Electrum is actually a pretty decent sampler for Android devices. You load your samples and loops, sprinkle them with effects according to your taste, and that's how you get cool-sounding beats and whole songs. There's a demo version of the app that can be downloaded before spending any money on the full version. Can't sing? Then use some vocoding magic to digitize your (or someone else's) voice for use with your music projects. This app called iVoxel can do that – it is a combination of a voice optimized synthesizer and a vocoder. And yes, in can auto-tune stuff as well. Yup, it is a piano app, but it is also a lot more than that. There are 11 life-sounding instruments to pick from, sound effects, pitch bend, velocity contro, the option to load and save MIDI files, and so much more. Best of all, the app is free to download. G-Stomper is made with creating electronic music in mind. It is a highly optimized, great-sounding app loaded with many tools, such as a track grid sequencer for beats, a note grid sequencer for melodies, a piano roll, 24 drum pads, an effect rack, and more. From the makers of Reason comes Figure, which is a mobile app made for quick and easy music-making on the go. It gives you drums, bass and lead synth, which can be controlled easily with the simple touch interface. The app is ideal for beginner music creators. Oh come on, don't tell us that you haven't tried Songify yet! You just speak to the app and it magically turns your voice into a song. No singing skills required! LOL@ iVoxel...if you can't sing, don't sing!! Simple! I'd rather do things on the PC when it comes to making music. Reason with a good sound-card is quite enough!! You forgot Traktor DJ, amazing iOS app, tried it on my iPad, abit expensive but really worth it. Just wish there was an Android version. 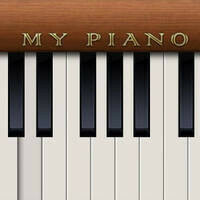 Here are my recommendations for Android: - Grand Piano Free: the BEST piano app IMHO! This is a piano app that on some phones can operate in low latency mode (I think it requires JB), meaning that you hear the sound as soon as you press the key, solving one of the most annoying problems with audio in Android. What's more, the piano sound is decent (with headphones). The paid version has additional instruments and implements the USB-Midi protocol so it can be used with a midi keyboard. - USB Audio Recorder: use it to record from USB microphones or sound card (like the iMic). Try the trial version first to see if your devices are supported (both the phone/tablet and the audio device must be supported). - Audio Speed Changer: great utility for musicians that lets you load a song (mp3 etc) and change its speed in real time, very useful for musicians that have to study solos etc. - Wireless Mixer: a MIDI mixer that can operate with the midi over wifi protocol. Read the comments of people that rate the app with one star saying that they cannot open the tracks to mix for extra fun. :) - Audio Evolution Mobile: a 4 tracks recorder. I use Audio Speed Changer Pro; it's probably not on there because it just plays back music with great pitch variation and also allows for playlists mixing; the story was about 'making music' from scratch or hard-core mixing. And, nothing beats chopsticks on the iPad; at least according to the commercials.